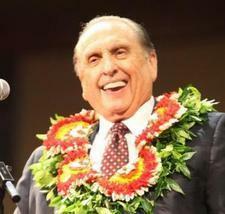 The Christmas season brings to all people a measure of happiness that corresponds to the degree to which they have turned their minds, feelings and actions to the Savior, whose birth they celebrate, said President Thomas S. Monson. "There is no better time than now, this very Christmas season, for all of us to rededicate ourselves to the principles taught by Jesus the Christ," said President Monson during the annual First Presidency Christmas Devotional on Dec. 5. 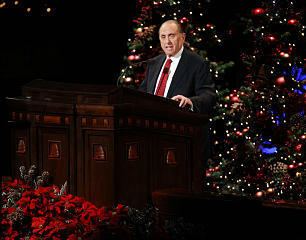 President Monson offered a message of peace and hope to thousands gathered in the Conference Center, which was adorned with Christmas lights, trees and poinsettias. 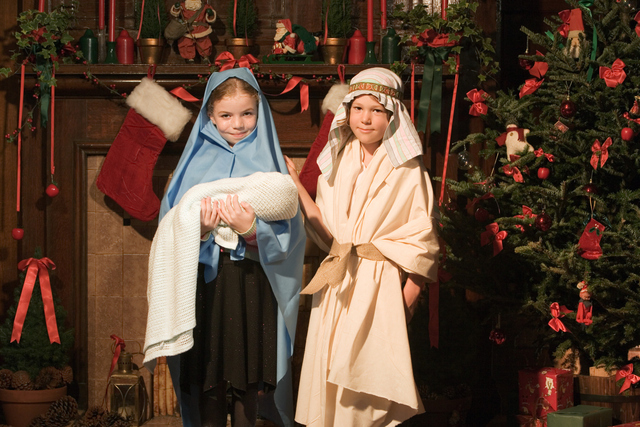 His counselors in the First Presidency, President Henry B. Eyring, first counselor, and President Dieter F. Uchtdorf, second counselor, also offered holiday messages centered on the Savior.